OrderPaperToday- Senator Shehu Sani (PRP, Kaduna) has spoken against the Social Intervention Programmes of President Muhammadu Buhari and former President, Goodluck Jonathan. President Buhari is currently running a National Social Investment Programme (NSIP) to tackle unemployment similar to when Jonathan introduced the Subsidy Reinvestment and Empowerment Programme (SURE-P) back in 2012. Sani’s reaction comes from an allegation raised by the Minority Leader of the Senate, Biodun Olujimi (PDP, Ekiti) where she stated that the All Progressives Congress (APC) is using the social intervention programme for political gains. 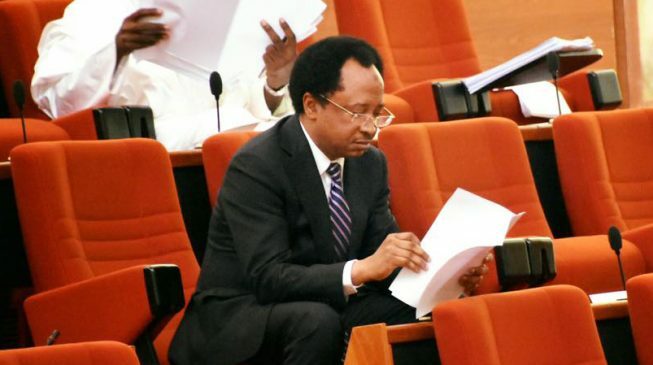 According to Senator Sani, SURE-P was designed to build the support base of the People’s Democratic Party (PDP) while N-Power was designed to build that of the All Progressives Congress (APC). “The ideological basis and reasoning of both the SURE-P and NSIP programmes is to reinforce the iniquities, inequalities and plunder inherent in the prevailing socioeconomic system that institutionalised the class privilege of a few against a many. He continued: “SURE-P and N-Power are all hands outs thrown to the poor ‘to purchase their conscience and loyalty. SURE-P was a larcenous bread of corruption and N-Power is a butter of social deceit. Nigeria’s poverty problems can’t be solved by a ration system of throwing peanuts.